The Colt 4 fog machine is recognised as being one of the most capable handheld fog machine on the market. Designed primarily for industrial usage the Colt 4 is well suited to even to most demanding applications. 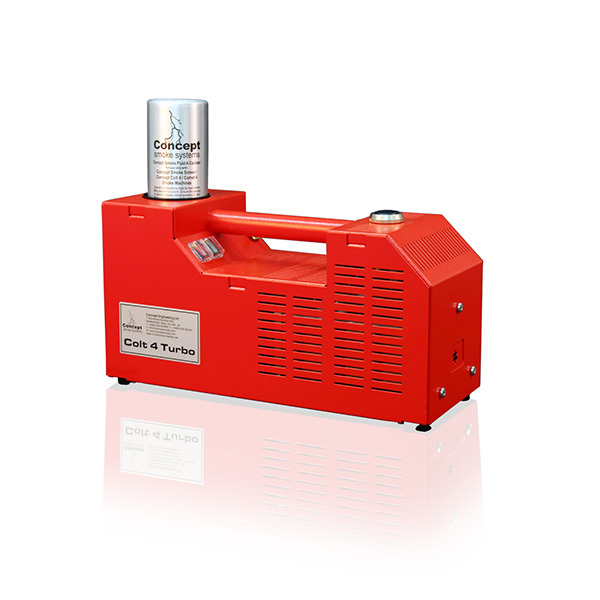 The Colt 4 Turbo fog machine can be ready to use within just 5 minutes, create almost 18,000 ft3 of fog (at 5ft visibility) in just two minutes and then be recharged and ready to repeat in just 3 minutes! The fog generator is easy to use, compact and completely portable which is why it is used worldwide by fire professionals, fire training centres, armed forces, Navy’s etc for adding realism to fire, breathing apparatus and positive pressure ventilation training.